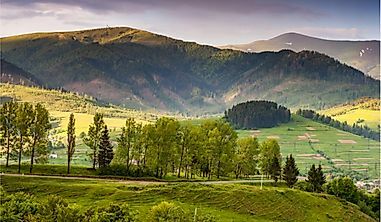 With aggressive brown bears, playful polar bears, giant whales, and soaring bald eagles, Alaskan wildlife is quite varied, and thus alluring to nature lovers worldwide. Alaskan waters host a rich biodiversity of fish species. 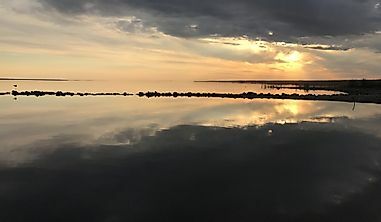 Trout, salmon, walleye pollock, halibut, whitefish, lampreys, etc., are some of the fish species found in the ponds, rivers, lakes and seas of Alaska. 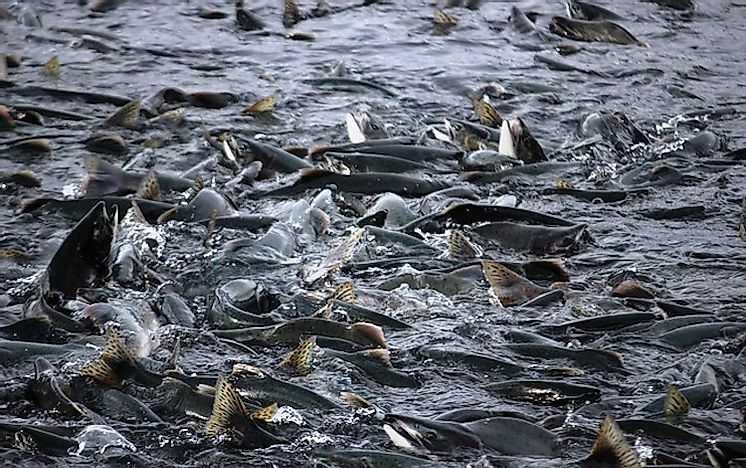 A unique event, the great spawning migration of the salmon, takes place every year in the US state. 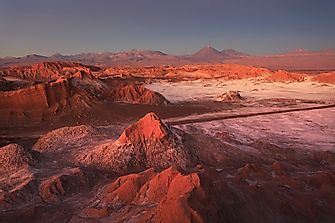 This event witnesses the migration of large flocks of salmon fish from the sea to the rivers, moving upstream against the river currents for spawning purposes. The salmon can often be seen jumping above the waters in an effort to overcome the force of the river currents. Brown bears take advantage of this event and enjoy salmon feasts during this time. The frigid temperatures of Alaska do not support a great variety of amphibians and reptiles. 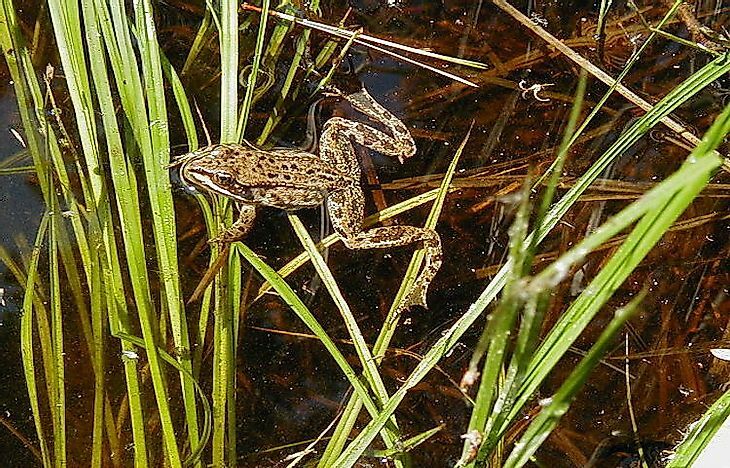 Only two species of frogs, the wood frog, and the Columbia spotted frog are spotted here. Three species of salamanders and one species of toad also call Alaska their home. These creatures are usually found near permanent water bodies as they spend a significant part of their life in the water. 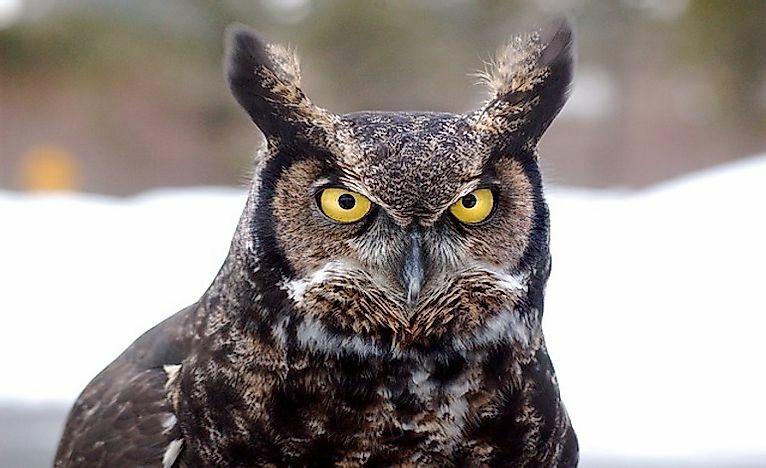 A large number of birds call Alaska their home. 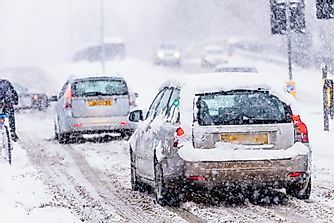 Many of them are migratory in nature who leave the region in winter for warmer grounds and are back in summer when the temperature is suitable for their living. Ducks, geese, and swans like the taiga bean goose, Canada goose, tundra swan, long-tailed duck, etc., are found in the Alaskan wetlands. 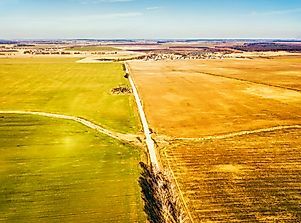 Turkeys, grouse, partridges, and quails like the ruffed grouse, willow ptarmigan, etc., are also found here. Loons, grebes, albatrosses, petrels, cormorants, pelicans, herons, nightjars, tyrant flycatchers, egrets, eagles, vultures, etc., are some of the other classes of birds found in Alaska. Two species of turtles, the green sea turtle (Chelonia mydas) and the leatherback sea turtle (Dermochelys coriacea) are found in the coastal waters of Alaska. The former are named so for the green color of their body fat and unlike the common belief have a black/olive-colored shell. The latter is the fourth largest living reptile and the largest among all species of turtles. 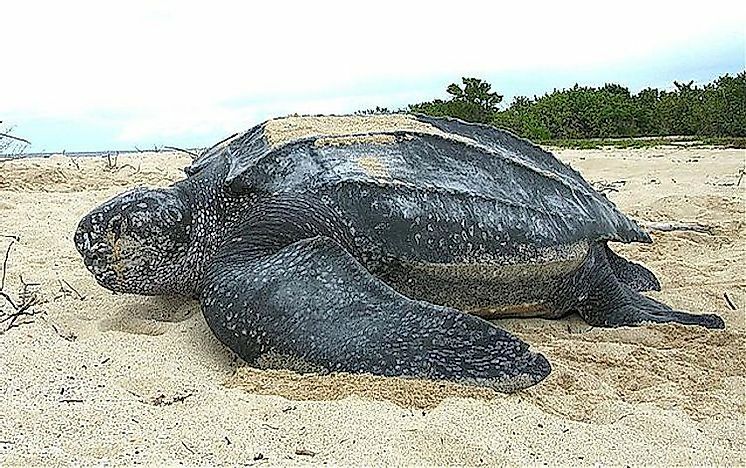 The leatherback turtle has a carapace covered by oily flesh and skin. These leatherbacks are classified as vulnerable by IUCN, and the green sea turtle is endangered. 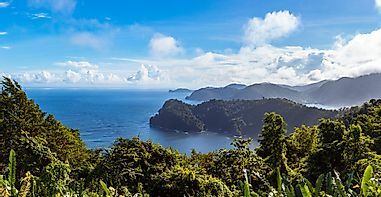 Hunting for meat, extraction of turtle eggs, death as bycatch during marine fishing activities, etc., are some of the reasons responsible for the rapid decline in sea turtle populations. One of the most prominent and popular sea creatures that find its position in our list of “What Animals Live In Alaska?” is the orca. A member of the oceanic dolphin family, orcas or killer whales (Orcinus orca) are apex predators, meaning they have no predators above them in the food chain. The orcas have a widespread distribution across the seas and oceans of the world and are also sighted in the Gulf of Alaska. These animals feed primarily on fishes but might also consume other mammals like dolphins and whales. Though sufficient data on the global orca population is not available, conservationists agree that such populations are in danger due to hunting, pollution, prey depletion, and capture for display in marine parks. Among the animals that live in Alaska are several species of whales that abound in the seas and oceans around Alaska. 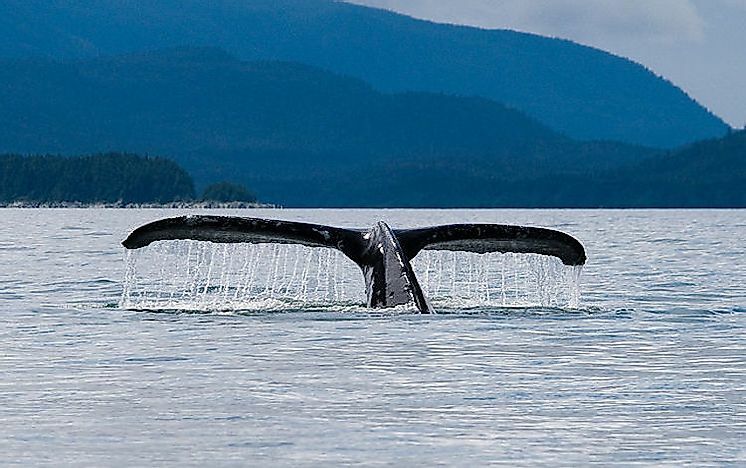 Sightings of the humpback whale, fin whale, sei whale, blue whale, bowhead whale, North Pacific right whale have been reported in Alaskan waters. Many of these species of whales are in the threatened category of the IUCN Red List. Many factors including death by bycatch, poaching for meat and body parts, capture for display in marine parks, loss of prey species, marine pollution, and climate change are responsible for the loss of whales from the world’s oceans. A number of unique herbivores find their position in our list of “What Animals Live In Alaska?” Dall sheep are found in the subarctic (Ovis dalli) mountain ranges of Alaska. These sheep have curved yellowish brown horns and a slate brown or white colored coat. They have plenty of food supply during summer but during winter, they sustain themselves on mosses, lichens, and frozen plants. 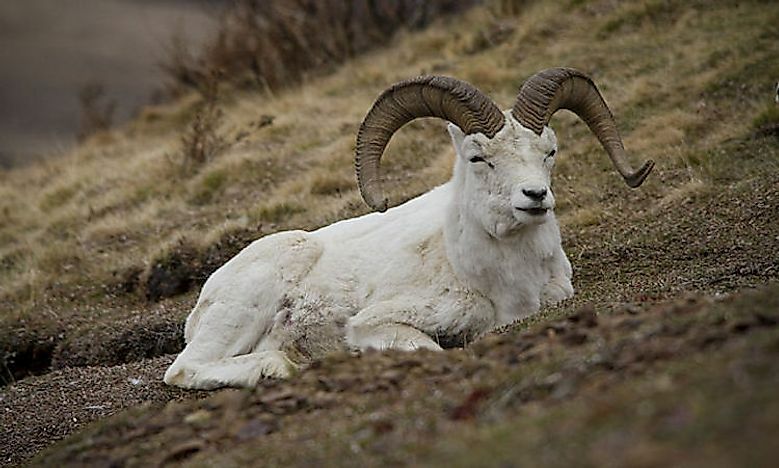 Grizzlies, coyotes, black bears are some of the predators of the Dall sheep. 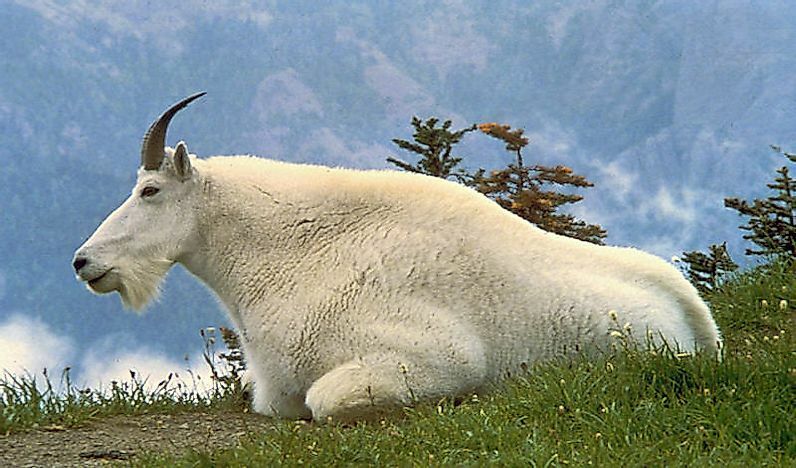 Mountain goats (Oreamnos americanus) abound in the mountain ranges of southeastern Alaska. These goats occur at altitudes as high as 13,000 feet above sea level or even higher. Their white, thick wooly coat protects them from the extreme weather of their habitat. The goats have long, black horns, beards, and short tails. They feed on lichens, mosses, sedges, grasses, and other plant matter. Rarely, they migrate to lower levels. Bears, wolves, lynxes are some of the predators of these goats. The Alaska moose (Alces alces gigas) have a wide range across Alaska where they inhabit the boreal and mixed deciduous forests of the US state. 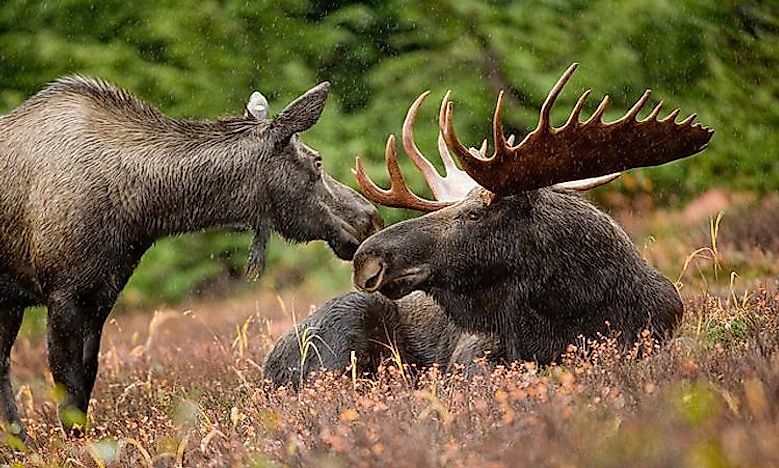 The Alaska moose are the largest of the North American moose subspecies. These animals are usually solitary in nature, coming into contact with each other during the mating season in autumn and winter. During this period, they might be aggressive and could attack humans when confronted. Currently, there are about 225,000 individuals of this species in Alaska, and they are systematically hunted every year to keep their population in check. The Porcupine caribou (Rangifer tarandus granti) is a caribou subspecies that finds its position among the animals that live in Alaska. These animals live in large herds of approximately 169,000 animals. 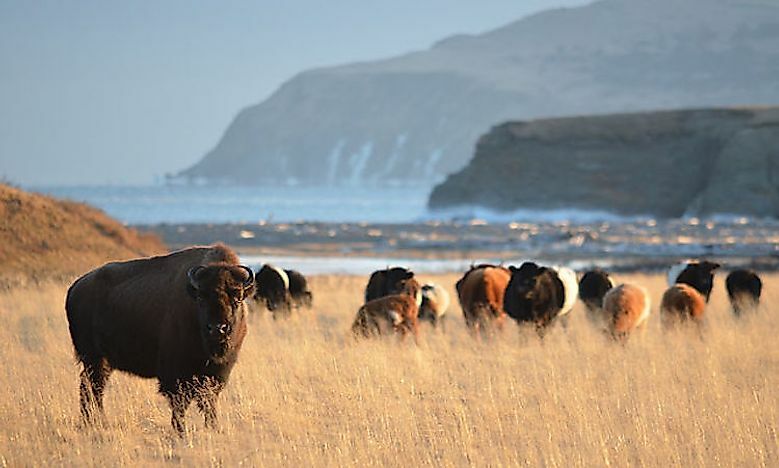 They migrate for long distances, about 2,400 km from their wintering grounds to their calving grounds near the Beaufort Sea. 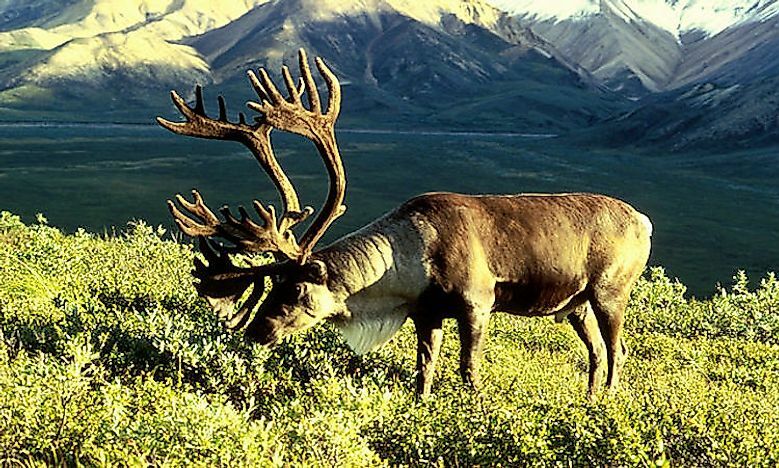 Thus, the Porcupine caribou exhibits the longest land migration among the terrestrial mammals of the world. The wood bison, an American bison subspecies, is found in the boreal forests of Alaska. These animals are larger than the plains bison. This subspecies is currently designated as near threatened by IUCN. Indiscriminate hunting, loss of habitat, and hybridization upon mating with the plains bison, has led to the rapid decline in the number of this subspecies of bison. 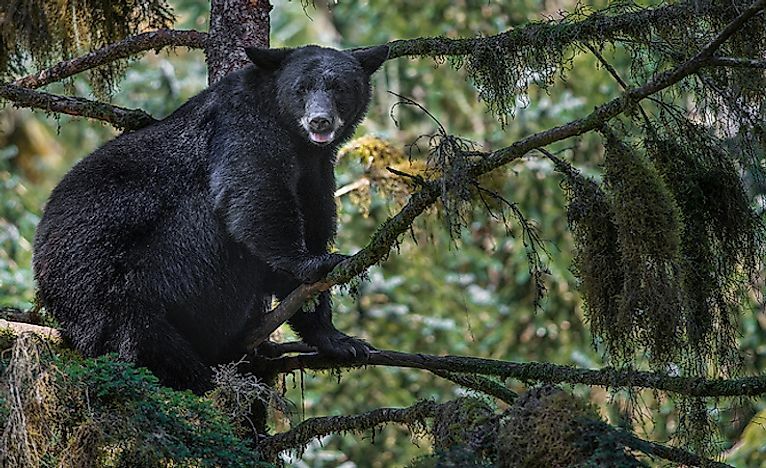 Bears, including black bears, brown bears, and polar bears make it to our list of “What Animals Live In Alaska?” American black bears are one of the least threatened bear species found in the world. A number of subspecies of this bear are found distributed across distinct ranges of North America. In Alaska, the subspecies found are the Eastern black bear, Haida Gwaii black bear, glacier bear, Kenai black bear, and Dall black bear. These bears are omnivorous in nature and often exit the forests in search of easy food in human communities. Thus, frequent reports of human confrontations with the black bear exist. 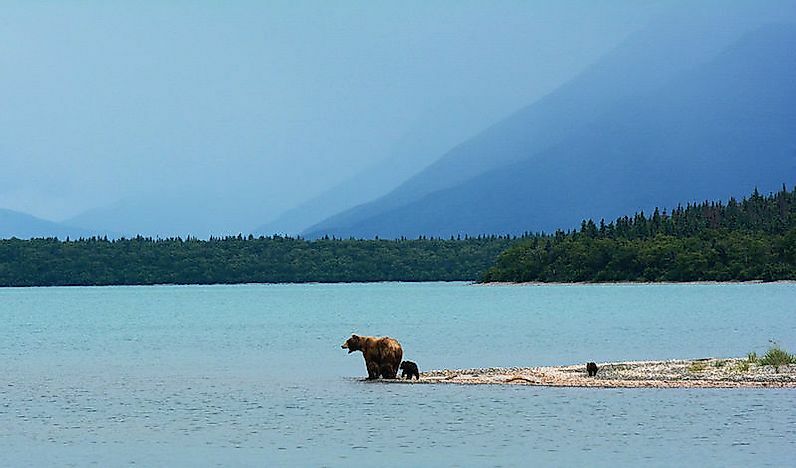 A large number of brown bear species inhabit Alaska. These bears are omnivorous or carnivorous in nature, some like the grizzlies are known to be aggressive. These bears grow to attain large sizes, the largest of most species of bears. 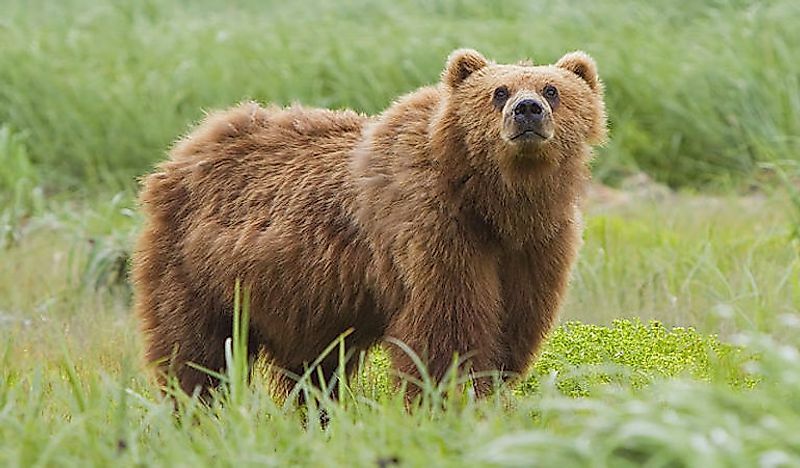 The brown bear species found in Alaska includes the Alaska brown bear (Ursus arctos alascensis), Dall Island brown bear (Ursus arctos dalli ), the grizzly bear (Ursus arctos horribilis), Kodiak bear (Ursus arctos middendorffi), and the Ursus arctos sitkensis. Brown bears in Alaska are currently not threatened and are subjected to regulated hunting to maintain their stable populations. The iconic species of the Arctic region, the polar bear (Ursus maritimus) is found in the northernmost permafrost covered Alaskan territory. These bears are large creatures, weighing around 350–700 kg. They are well-adapted to live in the frigid temperature of their habitat and spend a large part of their lifetime in the sea ice where they hunt for seals, their primary source of food. 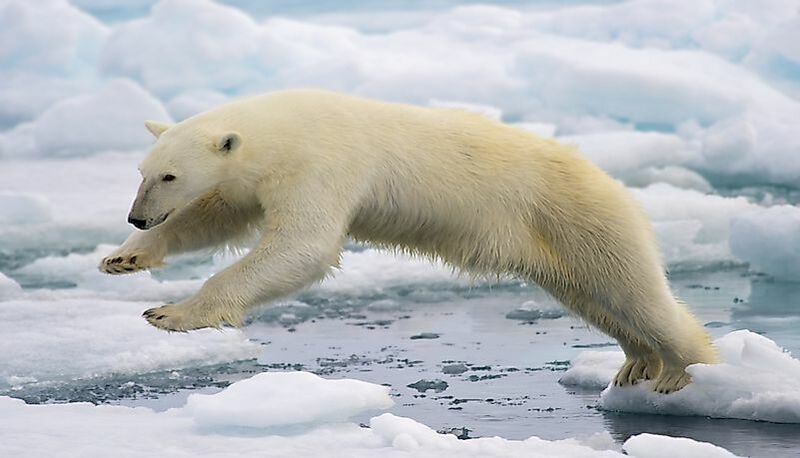 Currently, the polar bears are classified as vulnerable by IUCN. Habitat loss and climate change are the biggest threats to the continued survival of these animals.